BBC: Presse, ca. en dusin aviser, to dusin journalister som skrev om tvang. Thank you for participating at “Toppmøte 2015”. Erfaringskonferanse.no has published your constructive approach. Your contribution is most welcome showing how to solve serious human right problems. The Council of Evidence-based Psychiatry has given us new knowledge about effects of psychiatric drugs. Recently the Norwegian Psychological Magazin (Tidsskrift for Norsk Psykologforening, Vol 52, nummer 2, 2015, side 126-131) has published an interview with Robert Whitaker. 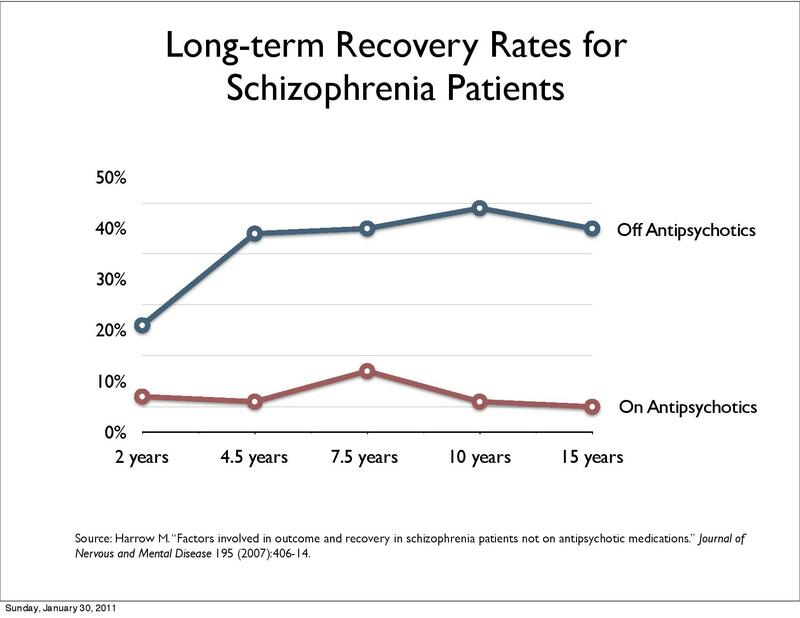 Harrow showed that the long term recovery rate increases from 5% to 50% after 15 years removing continuous antipsychotic longtime medication. Professor Peter C. Gøtzsche Director of the Nordic Cochrane Centre is publishing books, newspaper articles and gives interviews available also for social media (e. g. facebook) and understood by Norwegians. Norway has ratified UN Conventions Covenant on Civil and Political Rights (CCPR), Convention against Torture (CAT), International Covenant on Economic, Social and Cultural Rights (CESCR), Convention on the Rights of Persons with Disabilities (CRPD) as 130. state and is therefore obliged to respect these human rights conventions. These Conventions touch coercion in psychiatry. Norway writes reports and UN committees give concluding observations and if necessary follow-ups to assure compliance. The Human Rights Committee (CCPR), Committee on Economic, Social and Cultural Rights (CESCR), Committee against Torture (CAT) and Committee on the Rights of Persons with Disabilities (CRPD) and Universal Periodic Review have criticised Norway because of coercion in psychiatry. "The State party should take concrete steps to put an end to the unjustified use of coercive force and restraint of psychiatric patients... Furthermore, the State party should strengthen its monitoring and reporting system of mental health - care institutions so as to prevent abuses” (2). The Committee “ remains concerned at the widespread use of restraints and other coercive methods in psychiatric institutions, as well as at the lack of available statistical data, including on the administration of electroconvulsive treatment (ECT)... The Committee is concerned that the provisions of the Mental Health Care Act, allowing for compulsory admission and treatment on the basis of either the “treatment criterion” or the “danger criterion”, leave the possibility for wide discretionary decisions to such an extent that it might lead to arbitrary and unwarranted practice(arts. 2 and 16).” (2). The Committee “recommends that the State party amend the Mental Health Act to introduce stricter procedural requirements to ensure that persons with psychosocial disabilities have adequate legal protection against the use of coercion. It also recommends that the State party incorporate into the law the abolition of the use of restraint and the enforced administration of intrusive and irreversible treatments such as neuroleptic drugs and electroconvulsive therapy” (2). Forced medication and use of restraint must stopp (3). 2013 the Mental Disability Advocacy Center called on Norway to withdraw reservations and Norwegian Equality and Anti-discrimination Ombudsman 19. December 2013 concludes that Norway violates human rights. In addition the Human Rights Commissioner of the Council of Europe criticised Norway and demanded to reduce drastically coercion in psychiatry. In some countries you can protect yourself against coercion with an advance medical directive. For 15 years Norway tried to reduce coercion, but the result was an increase with one third. Does it help to write to the Norwegian Prime Minister or is it necessary to start a campaign? The Norwegian press does not inform about these problems and none of my letters to the editor were published. The Human Rights Commissioner, Council of Europe and Mental Disability Advocacy Center have been informed that it is useless to write to Norwegian authorities about their human right obligations. This information was send to: Ministry of Health and Care Services (ref. 2014/4257), Prime Minister of Norway (ref. 2015/815), Directorate of Health (ref: 2012/9562), Ministry of Children, Equality and Social Inclusion (ref. 2015/2134, ref. 2013/4343), Ministry of Foreign Affairs (ref. 2014/6998, ref. 11/05400), President of parliament Storting. The Directorate of Health tried to in a project 2012 to 2015 to reduce coercion voluntarily. However the reduction failed. Therefore Directorate of Health in July 2015 suggested to adapt mental health laws and look at long-term drugging. The department was asked to act in August 2015. However the Department of health only confirmed receipt 4. September 2015 and refers to the earlier position that the state has an obligation to help those who can not help themselves. Norway has ignored its human rights obligations for many years. Why is there no positive reaction so far? Is the Norwegian state cruel, inhuman and allows degrading treatment? This situation is unacceptable for a country such as Norway, which has a global reputation promoting and protecting human rights. I am writing to express my concern regarding ongoing violations of rights that people with disabilities in Norway. Following the visit in your country of Nils Muižnieks, the Commissioner for Human Rights of the Council of Europe, I understand that such violations are still common.